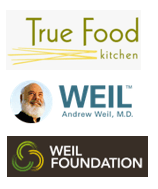 The news broke last week that the physician most associated with the term “integrative medicine”, Andrew Weil, MD, had donated $15-million to fuel the work of what is now known as the University of Arizona Andrew Weil Center for Integrative Medicine. The donation comes on top of $5-million Weil has already gifted the program he founded over two decades ago. In October 1996, I met him during a small symposium on the coverage issues in integration co-sponsored by the National Institutes of Health and Weil’s nascent program. (For perspective on one of the program’s influences, it was held in the first week of work of the individual Weil chose as his program’s first executive director, Tracy Gaudet, MD, now head of the VA’s Office of Patient Centered Care and Cultural Transformation.) A time of beginnings. The huge gift seemed a good excuse to connect with Weil on his generous bequest, and to ask him to muse on developments in an “integrative” field that in 1996 had just been birthed as such. This article reconstructs some of that conversation. The context, for those who need it, is that the program Weil founded has been far and away the principal driver of academic integrative medicine. 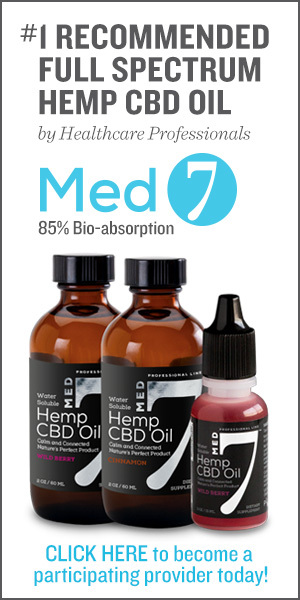 More generally, it set the educational standard for integrative medicine leadership in hospitals and medical delivery organizations in the United States. 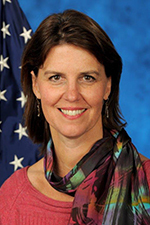 The Center’s flagship programs – Fellowship in Integrative Medicine, Integrative Medicine in Residency – are among contributions that also range back to 2004 co-authorship by Gaudet’s successor Victoria Maizes, MD of the field’s Core Competencies in Integrative Medicine and more recently to the federally-funded National Center for Integrative Primary Healthcare. 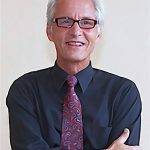 Weeks: First, I recall when you spoke at the 1996 meeting that you and Wayne Jonas, MD at the NIH Office of Alternative Medicine and others put together, you shared that you were not certain how much headway could be made in getting insurance coverage of complementary and alternative medicine practitioners given the challenges you were then having in getting healthy food into the U Arizona kitchens. That’s changed, hopefully. Weil: It has. There are healthy options. Weeks: Good. How long has this $15-million gift been in the planning? Weil: For a year, year and a half. Weeks: I would have assumed it had been longer. You’ve been giving substantially and continuously to the Center for years and years. What was the main source of the $15-million? Weil: The sale of True Food Kitchen. I was the primary investor there. I am still involved. I still own 2% and am involved in recipes, and food sourcing and promotion – but I made a windfall off the sale [of majority ownership]. Weeks: Interesting. I had assume that it was profits from your sales of supplements and other products that I knew you’d been donating to the Center for years and had made such a huge difference there – considering how everyone in other integrative academic centers is always scraping for money. I gather from the media accounts of this gift that you’d already given some $5-million from other sources. Weil: My main source of money [for me personally] has been sales of books and speaking fees. I always have donated my salary from the University of Arizona to the Center. And all of the sales of any products that are associated with my name and likeness I give away to the Weil Foundation. The Foundation to date has given away about $6-million, the majority of which has gone to the Center. Weeks: Before we talk about the recent gift, what do you point to with most pride that your philanthropy Center has already helped accomplish? Weil: A lot has gone to the Integrative Medicine in Residency program, led by Patricia Lebensohn (MD, Program Director). It’s now in 70 US medical schools. It’s in a medical school in Germany. It will grow in other international locations. The funds have supported the director and gone toward development of the curriculum and to creating the online materials, which are very expensive. It’s our long term goal to make it a required course in every residency training in all fields. Weeks: The new money will help that. So, how is that $15-million coming in? What are the first priorities? Weil: It’s staged. The first will be to endow two chairs. Victoria [Maizes MD, Center executive director], will be the Andrew Weil Endowed Chair in Integrative Medicine and Esther Sternberg [PhD] will be the Andrew Weil Endowed Chair for Research in Integrative Medicine. Some of the rest will go into a building fund for which the university has pledged to raise a matching amount. The changes will be significant. We’ve operated under a scarcity mentality. Now with the center we are constructing, we will have a consolidation in one place. We’ll finally have a real presence of a clinical center in Tucson. I expect we’ll have enough funds to hire new people as we need to. We are planning on a strategic visioning retreat soon. Weil: (laughs) Right. We do hope it will stimulate more philanthropy from new people and from donors who have given before. Weeks: Let’s go large for a second. Put yourself back in 1996. What’s your biggest surprise from the movement to date? Weil: I am delighted that it has progressed this far – and at the same time I am amazed that there is still so much pushing back. I assume that will go away sometime. The Fellowship has a waiting list. The new people who are coming in are great. I see them giving great credit to the movement. Weeks: Yes, those paradoxical thoughts. Seems to be the story with most long-timers. 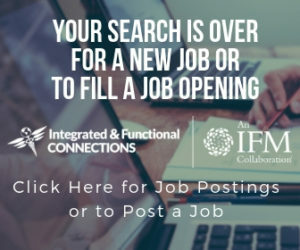 One sign of success for the field – linked to your work – is Tracy Gaudet’s work at the VA. In1996 she was the first director of the program and there she is now, heading up the most significant healthcare transformation effort in the United States in the VA’s whole health program. Now, if you would, cast your vision forward. Be practical. What does 2030 look like for integrative medicine? Weil: I’m hoping we have a new model of health care that we have launched in our center, that is replicable, sustainable and saves money. I hope that our basic curriculum is part of all residencies. Weeks: I have some ideas about how that model might work – but I’ll bug you with them later! One last thing. 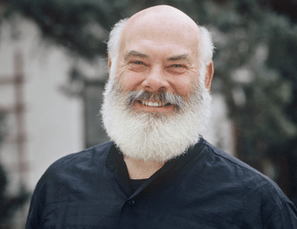 I published a note in the Integrator recently about a venture with which you are involved via Seabourn Spa and Wellness Cruises with Dr. Andrew Weil. Weil: This has been a fun opportunity to have a chance to take groups of Center faculty on a cruise to teach. I’m not a cruise person. I’ve never been on a cruise. I expect it’s going to be fun. Weeks: Here’s hoping you all enjoy it. Thanks, on behalf of the field, for the past gifts and this incredible one. And thanks for the time.